Most digital currency traders prefer using their home computer, internet connection and power supply to conduct their business online. The problem with this is that in case of a power outage, you will lose internet connection and in case you were in the middle of a transaction, you might end up losing money. If you are a serious trader, you know you cannot afford to lose money like this. That means finding the right solution to this problem, which is using a virtual private server or VPS. A virtual private server comes with its own power supply, which offers users convenience and flexibility. That means in case you are out of power at home, you can still continue with your online currency trading with a virtual private server. So what exactly is VPS ? A virtual private server refers to a special server that houses several other computers on the same host server. If you are looking to trade digital currency online, a virtual private server or VPS is useful for online traders. In case you rely on a desktop or laptop for online currency trading, you would agree with me that it limits where you want to trade from. Simply put, if your computer is at home or in an office, that’s the only place you can do your business from. However, virtual private service gives users the opportunity to trade from anywhere with a good network connection. With Forex VPS, users can trade online by logging in from any device or computer with stable internet connection. The benefit of this is that you don’t have to run your home computer 24/7, or rely on your power connection or internet so that the virtual private service keeps running. After registering for a virtual private service account, you are assured of RAM, specific amount of disk space and transfer allowance every month. Once you have your own Forex VPS, you can fully control the server, reboot the system and install your preferred operating system. In addition, you can use your VPS account to set up other online currency trading platform. If you use automation for online currency trading, you can be sure that you will continue with your online currency trading even if there is a power outage. Another benefit of Forex VPS is that it allows users to trade at any time during the day. For automated systems that performs well, you will be able to make money even when you are offline or asleep. It is important you know that virtual private server can be expensive. However, that does not mean you cannot find cheap Forex VPS. While using a VPS for online currency trading, you only need a minimum amount of disk space. Therefore, it is advisable you look for a service that offers enough transfer allowance and good RAM. Before you purchase a VPS, there are a number of factors you need to take into consideration. The first thing you should look at is the operating system that the server operates on. Some virtual private servers operate on Linux, while others on Windows. Each operating system comes with its own merits and demerits. Therefore, you will find that different traders prefer one operating system to the other. 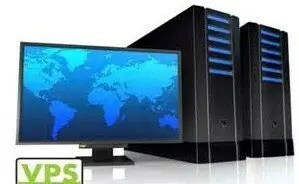 Depending on your needs, it is important you take into account different factors such as date transfer, RAM space, and backup control while choosing a cheap Forex VPS server. Traders would come to appreciate a cheap Forex VPS when they know that the configuration and settings are tailored to meet their needs. While choosing a virtual private server, another thing you should consider is whether to choose a regular VPS or a specialist Forex VPS. Each service has its own advantages and disadvantages. For online currency traders, Forex VPS may be the preferred choice because the service is well tailored to the needs of online traders. The final thing you should consider is the price. Like we have already seen, today we have cheap Forex VPS and expensive ones. The price of virtual private servers can vary from a few to hundreds of US dollars. The price usually varies depending on the storage, ease of use, quality, monthly bandwidth allocated, latency among other features. However, that does not mean that cheap Forex VPS are of inferior quality to expensive ones. You can find cheap Forex VPS that have adequate disk space, good RAM and of good quality.